Reuters reports that for the first time in over ten years, Nokia’s Symbian is no longer the world’s number one smartphone platform. The new king? Google’s Android. In the fourth quarter, phone makers sold 32.9 million Android-equipped phones globally, roughly seven times more than the year-earlier quarter, compared with Symbian’s sales of 31 million, according to Research firm Canalys. Of course it should probably come as no great surprise that a free, multi-manufacturer operating system is shipping more units than one running on just the single company’s hardware. That said though, this is without doubt the start of a new era and one that could possibly spell the end of Nokia as we know it. With hit hardware like the Samsung Galaxy S line along with a rash of hardware coming in 2011, Android shows no sign of slowing down. With each new OS release comes new features, more bells and whistles and a bit more spit and polish. Currently Google claims over 300,000 devices are being activated each and every day, so it’s safe to say sales aren’t going to slow soon. Now it’s down to the hardware manufacturers to produce the hardware to go along with the OS. Meanwhile the folks over at Nokia haven’t had it quite so good. In just over 2 years since Google launched Android, Nokia has seen its market share slump from almost 50% to less than 31%. With new Chief Executive Stephen Elop at the helm, the former Swedish giants will be hoping to start moving in the right direction sooner rather than later. Could that include the use of Android on its handsets? That’s the rumor going around the tech blogs over the last few weeks and few could argue against it. Nokia needs a more modern OS for its class-filled hardware and Google’s offering is getting better each release. A match made in heaven perhaps? 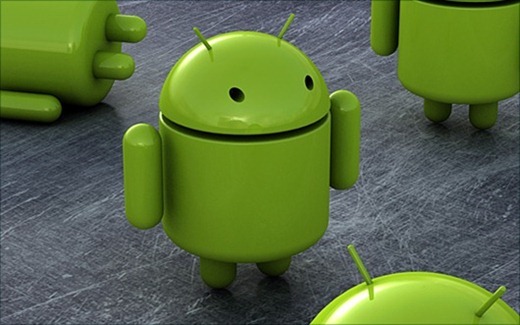 Android Now Most Popular Mobile Operating System in US for Recent Buyers, Beats iPhone, BlackBerry!